BACKGROUND: Although the introduction of reversible Bruton’s tyrosine kinase (BTK) inhibitors, such as first-generation ibrutinib (Imbruvica), represents a major advancement in the treatment of chronic lymphocytic leukemia (CLL), ibrutinib also irreversibly inhibits other kinase agents that may compromise its therapeutic index; side effects are the most common reason that patients discontinue ibrutinib. 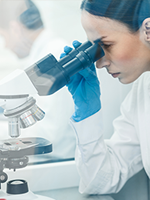 This finding led researchers to evaluate the safety and efficacy of acalabrutinib. It is a second-generation, more selective, irreversible BTK inhibitor with improved pharmacologic features that was specifically designed to improve on the safety and efficacy of first-generation BTK inhibitors. METHODS: The uncontrolled, multicenter, phase 1/2 study was designed to determine the recommended dose, safety, efficacy, pharmacokinetics, and pharmacodynamics of acalabrutinib in 61 patients with relapsed CLL. RESULTS: The median age of the patients was 62 years, and the patients had received a median of 3 previous therapies for CLL. In the phase 1 dose-escalation portion of the trial, patients received 100 mg to 400 mg of acalabrutinib once daily, followed by 100 mg twice daily in the phase 2 expansion of the trial. At a median follow-up of 14.3 months, the overall response rate was 95%, including 85% with a partial response and 10% with a partial response with lymphocytosis; the remaining 5% of patients had stable disease. In patients with 17p13.1 deletion (31%), the overall response rate was 100%. The researchers noted there were no patients with Richter’s transformation and only 1 patient with progression of CLL. Acalabrutinib demonstrated robust clinical activity, with 98% of patients achieving a reduction in lymphadenopathy. The safety profile of acalabrutinib was also favorable. Most adverse events (AEs) were grade 1 or 2 and resolved over time. The most common grade 1 or 2 AEs were headache (43%), diarrhea (39%), increased weight (26%), and upper respiratory infection (23%). Severe diarrhea, rash, arthralgia or myalgia, bruising, and bleeding events each occurred in ≤2% of patients. There were no reported cases of major hemorrhage or atrial fibrillation. Source: Byrd JC, Harrington B, O'Brien S, et al. Acalabrutinib (ACP-196) in relapsed chronic lymphocytic leukemia. N Engl J Med. 2016;374:323-332. According to the National Comprehensive Cancer Network (NCCN) guidelines, ibrutinib and idelalisib in combination with rituximab are the standard of care for patients with refractory CLL. The results from this study are very impressive, and may soon lead to US Food and Drug Administration approval of acalabrutinib for refractory CLL. Acalabrutinib appears to not only be more effective, but also safer, than the first generation BTK inhibitor, ibrutinib. 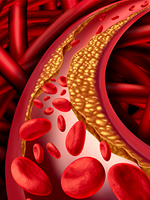 Almost all patients in the study responded to acalabrutinib with very few grade 3 or 4 toxicities, and no patients had major bleeding events or atrial fibrillation, which have been reported with ibrutinib use. The most common adverse events were headache, hypertension, and diarrhea. 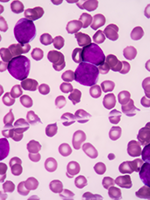 The National Cancer Institute is currently supporting a phase 3 comparative trial of acalabrutinib versus ibrutinib in high-risk patients with relapsed CLL, and may answer the question of which BTK inhibitor is preferred. Acalabrutinib is an alternative BTK inhibitor that has more selective pharmacodynamic features, and may improve on the efficacy and safety observed with ibrutinib. BACKGROUND: A phase 1 study of atezolizumab, which is an engineered humanized immunoglobulin G1 monoclonal antibody that binds selectively to programmed death ligand 1 (PD-L1), has shown durable response in patients with metastatic bladder cancer. METHODS: To confirm the antitumor activity of the investigational drug in patients with advanced urothelial carcinoma whose disease progressed after platinum-based chemotherapy, the researchers conducted a phase 2 study to assess the efficacy and safety of atezolizumab. The global, multicenter, single-arm, phase 2 trial included 310 patients aged ≥18 years who had inoperable locally advanced or metastatic urothelial carcinoma that progressed after platinum-based chemotherapy. The group received 1200 mg of atezolizumab intravenously every 3 weeks. PD-L1 expression on tumor-infiltrating immune cells was defined by the percentage of PD-L1 positive immune cells IC0, IC1, and IC2/3. The coprimary end points were objective response rate on independent review according to Response Evaluation Criteria in Solid Tumors (RECIST) v1.1 and investigator-assessed objective response rate according to immune-modified RECIST in the intention-to-treat population. RESULTS: The study demonstrated that targeting PD-L1 with atezolizumab in heavily pretreated patients (40% had received at least 1 systemic regimen in the metastatic setting) induced durable antitumor response. The primary analysis showed that compared with a historical control of overall response rate of 10%, treatment with atezolizumab resulted in a significantly improved RECIST v1.1 objective response for each prespecified immune cell group, with rates of 27% in the IC2/3 group, 18% in the IC1/2/3 group, and 15% in all patients. On independent review, with longer follow- up, the objective response rates were 26% in the IC2/3 group, 18% in the IC1/2/3 group, and 15% among all patients. After a median follow-up of 11.7 months, ongoing responses were observed in 38 (84%) of the 45 responding patients. The median time to response was 2.1 months. In an exploratory analysis of 195 patients, The Cancer Genome Atlas (TCGA) subtypes and mutation load were independently predictive for response to atezolizumab. 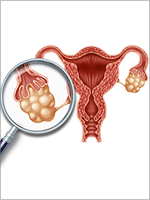 Most treatment-related adverse events (AEs) were mild to moderate. The incidence of grade 3 or 4 treatment-related AEs was low, with fatigue being most common, occurring in 5 (2%) patients. Source: Rosenberg JE, Hoffman-Censits J, Powles T, et al. Atezolizumab in patients with locally advanced and metastatic urothelial carcinoma who have progressed following treatment with platinum-based chemotherapy: a single-arm, multicentre, phase 2 trial. Lancet. 2016 Mar 4. Epub ahead of print. 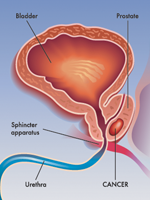 Relapsed bladder cancer is very resistant to second-line therapies. Furthermore, there have been no major advances in the pharmacotherapy of bladder cancer in 3 decades, with treatment options limited. Standard chemotherapy drugs, including paclitaxel, docetaxel, and pemetrexed, produce a minimal response rate (approximately 10%), and no long-lasting outcomes. Although the response rates to atezolizumab are modest (20%-30%), >80% of the responses are quite durable, lasting >1 year, and approximately 10% are complete responses. Of note, a higher level of PD-L1 expression is associated with improved responses, and a significantly longer overall survival. If further studies can repeat these results, atezolizumab will represent a major advance in second-line therapy of bladder cancer.